My aunt brought me back these earrings from Israel! How gorgeous is the blue stone? September is such an unpredictable weather month in New York. The mornings & evenings are chilly, but midday heats up. The highs & lows of the temperatures makes getting dressed in the morning a bit tricky. 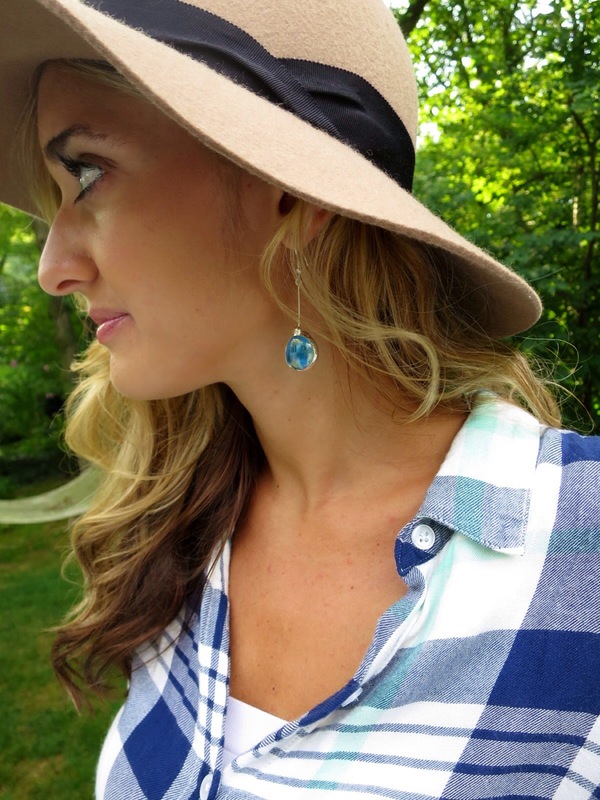 I have been loving mixing in some fall pieces, such as this plaid top & felt hat, with my summer basics. totally love your hat and top! Loving those earrings, I have such a hard time picking out jewelry for some reason (probably because I just end up losing it two days later) but those look fantastic on you! I actually got them as a gift! I love the simplicity of them! I love your shirt and those earrings! Thank you! I love the earrings as well! 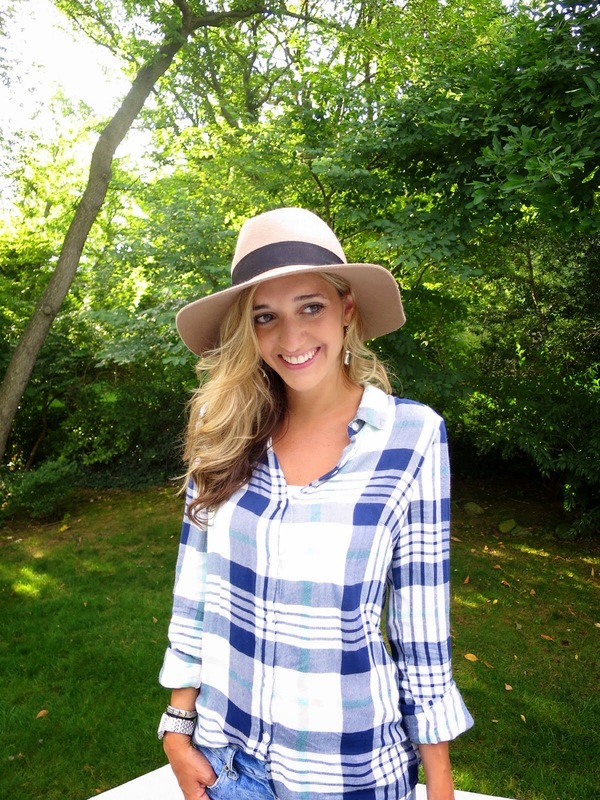 Love the plaid, and you look so cute in that hat! Great outfit! I'm a sucker for a good flannel shirt! This outfit looks so casual chic! How cute are you? Love the plaid shirt and this whole fall look!